Photograph Your Life – It Works For Bobbi! 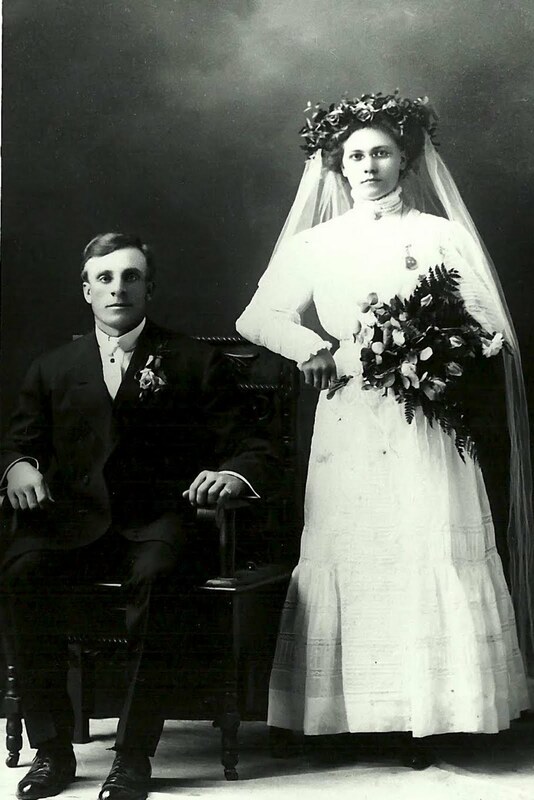 Published on June 12, 2010 August 9, 2016 by Bobbi-Jo G.
I’ve been wanting to post a little about the Photography and Family History class I taught at our recent Family History Conference. I was completely nervous, and was certain I looked it. It is a subject I am definitely passionate about, but really…who am I to teach these Family History buffs? And what could I teach? What I decided upon was to teach about HOW to record our own story in photographs, because – after all – who knows our story better than we do? It’s a nice picture, right? They seem like a nice couple. But what can you tell me about them from this photo? What color were her eyes? What was his profession? What did they like to do together for fun? What were her hobbies? Where did they live? Were they happy? I have a lot of questions about my ancestors that, unless they kept a detailed journal, will not be answered for me. But we have the chance to really record a snapshot of OUR lives every time we pick up our camera. So, in that spirit, I compiled a checklist of things you might want to try capturing on film at some point. I think it would be fun to try to capture one thing a week, or even organize a photo scavenger hunt for a family day or something. It might be fun to relive your history, or create NEW memories together as a family. And remember, write down a few notes about each photo. Stick it in your album behind the photo, or scrapbook it, or write it in your journal. Just write it SOMEWHERE. I hope you’ll take a minute to download the list and even take a FEW of these photos. You’ll be glad you took some time to record a bit of YOUR life, and your children and grandchildren will know you that much better. Next He is a Master! Oh, I love this! Thank you for sharing! Amen sister! You hit it right on the head. Blogging sure helps with recording ones life. I tend to take my camera with me wherever I go now. And I photograph it all. My parents and siblings use to call me obsessed (my own DH and kids got use to it really fast) but now they all are use to it and I even have one sister doing the same thing now. Blogging and taking pictures. She's almost worse than me! LOL!